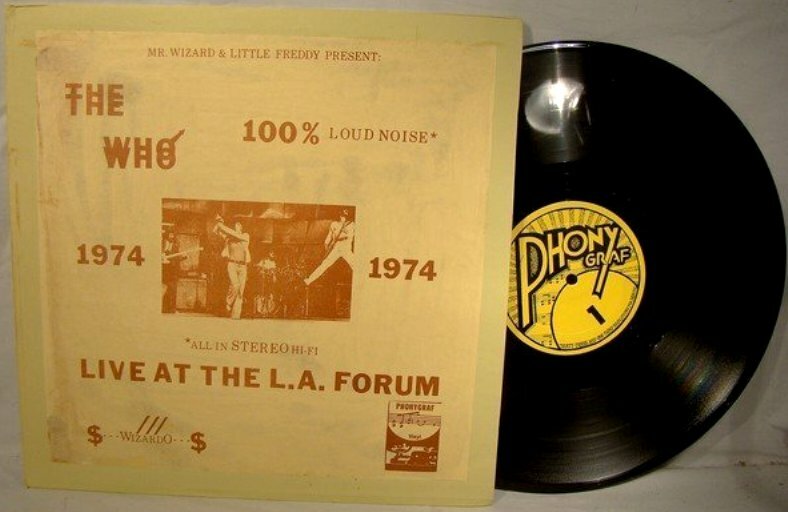 Re-release of this 1971 TMOQ title: Smoking pig or Phonygraf labels; Black or color vinyl; White or yellow jacket. I wonder what “FIRST IN A NEW SERIES” was referring to. Matrix numbers: 1382 a/b- a rare title that has so far sold for way above average prices. 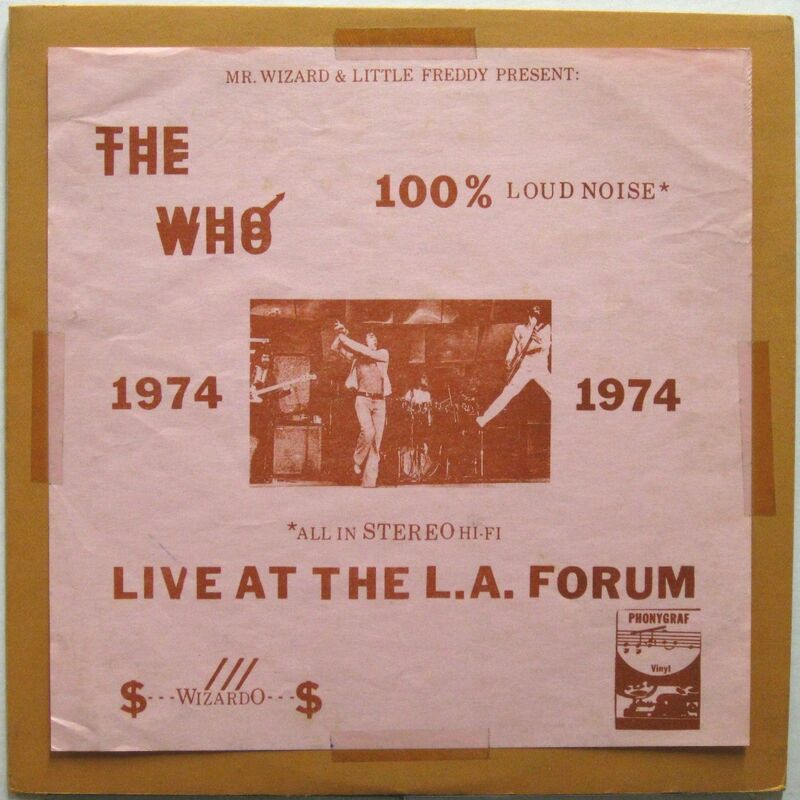 Audience recording from Chapman College Memorial Hall, Orange Ca Nov 16 1972 that in its acoustic glory is no match for the noisy vinyl. Phonygraf numbers: 1112: Mahavishnu Orchestra ‘Dance Of The Maya’; 1113: Elton John ‘In Disguise’; 1115: The Beatles ‘EMI Outtakes’ and 2101: ELP ‘Celestial Doggie’ have all been featured before under their respective artist sections. This is an audience recording in great stereo. Recorded at Long Beach, CA Nov. 10, 1974. 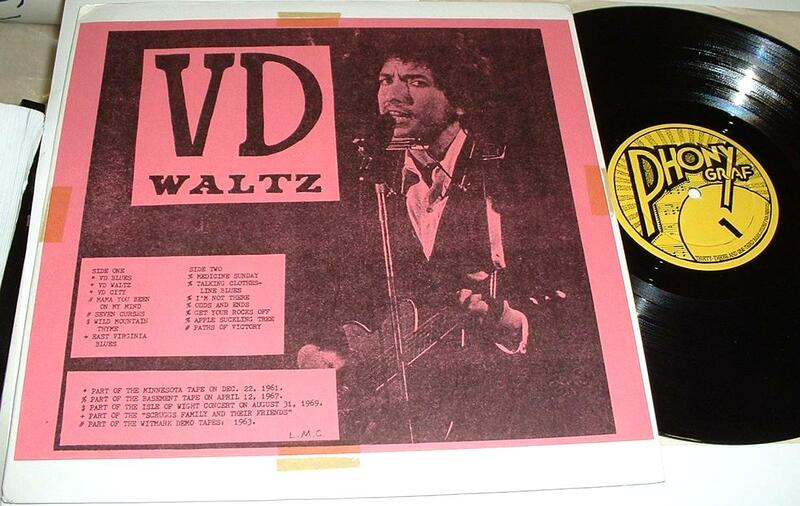 The 1st & 5th song on side one are slightly clipped. Tracks 1-5 make up side one and the rest is side 2. You can also read an interview with the guy who taped this show in the book “Black Market Beatles”. Most importantly, the source for this decent recording never appeared and all CD versions were taken from a vinyl copy of this LP. There are at least two cover variations. Most have the number “1373” surrounded by a black print block to the immediate left of the side one track listing, while this is absent in the first image.